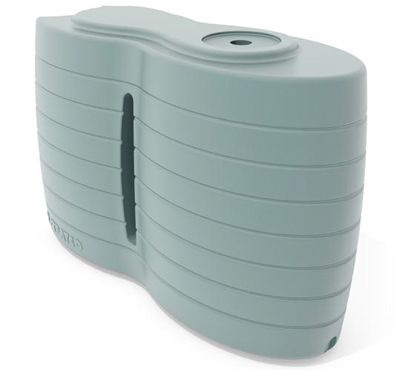 Smooth, rounded curves are a feature of the Stratco Aqua-Link™ system. 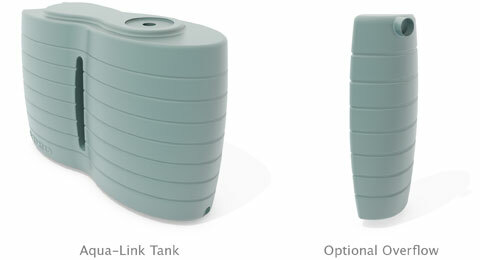 The innovative Aqua-Link represents the next generation of modular rainwater tanks. 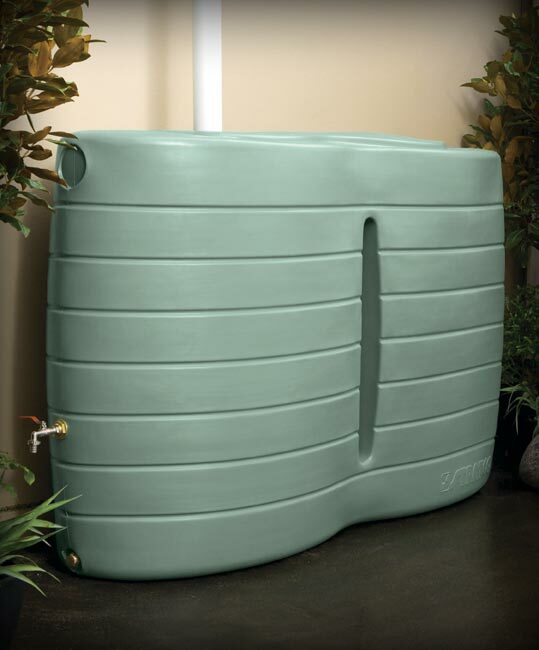 The stylish 1100 litre modules can be linked together to provide maximum water storage where space is limited. Aqua-Link Water Tanks are easy to manoeuvre, even into difficult locations. 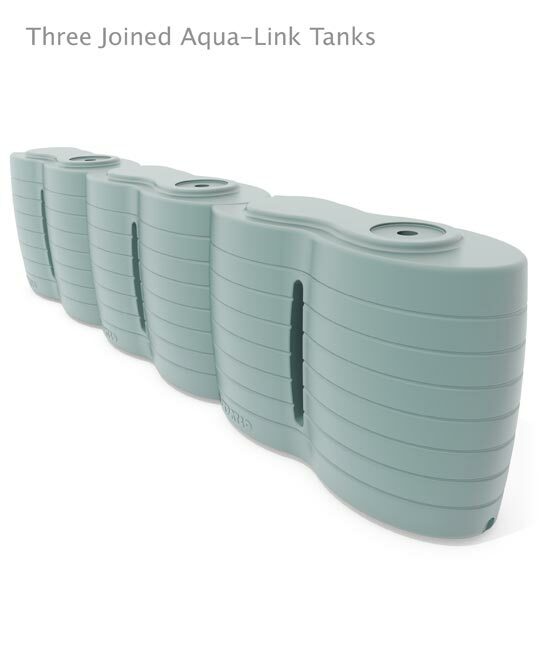 The strong water storage modules are only 800mm wide, 1900mm long and 1340mm high. 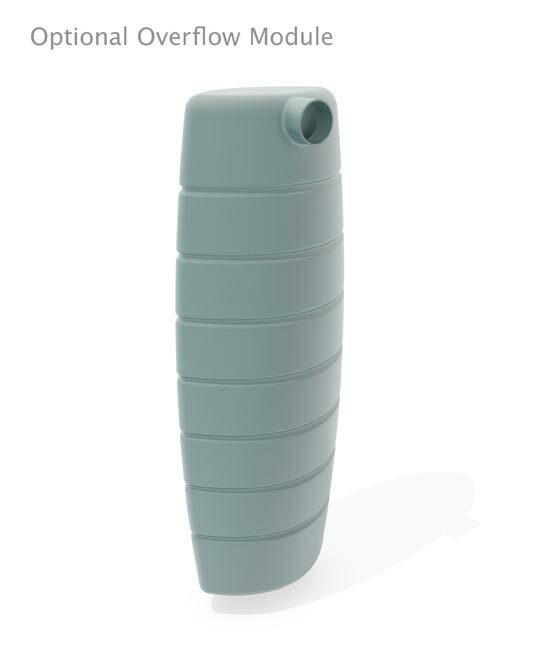 Each tank has a convex end and a concave end. 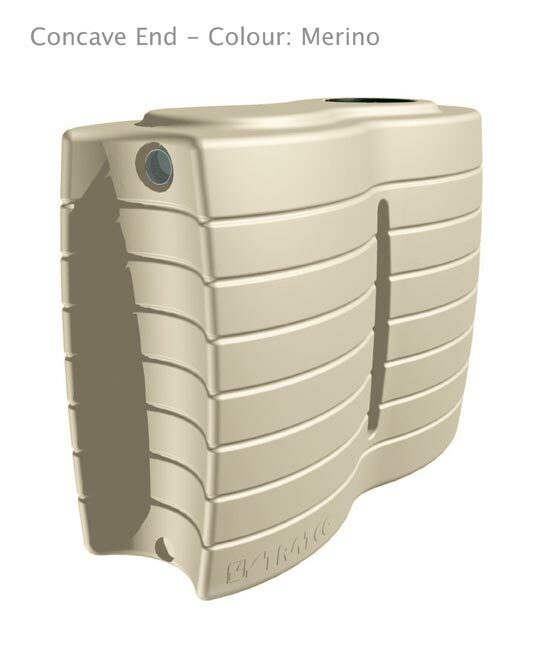 The concave end is designed to accommodate another tank, or an optional overflow moulding that can be included to complete the rounded curves of the rainwater tank. 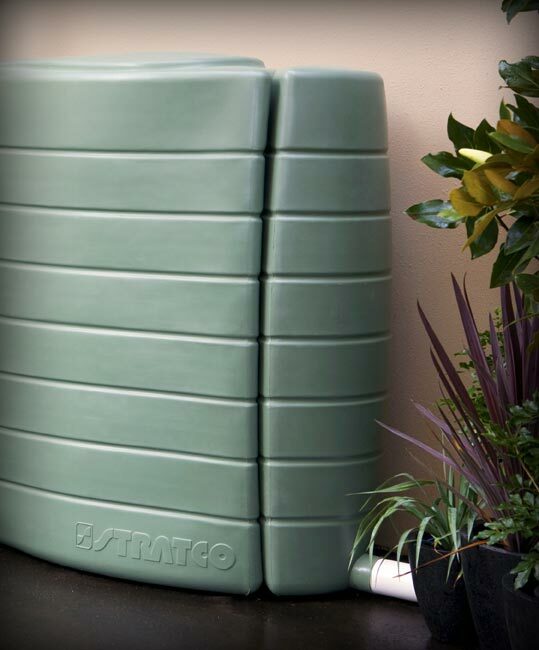 Manufactured from food grade polyethylene that is protected against ultraviolet rays. 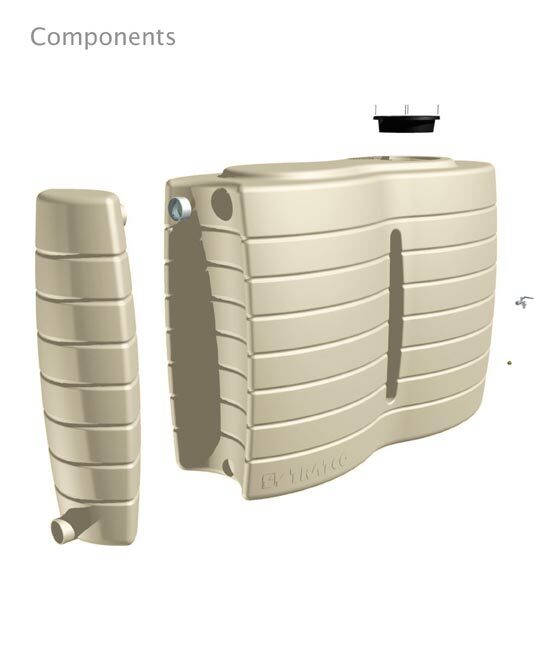 The tank is formed in one piece from rotomoulded plastic that forms a thick wall. It will not corrode and has excellent impact resistance. 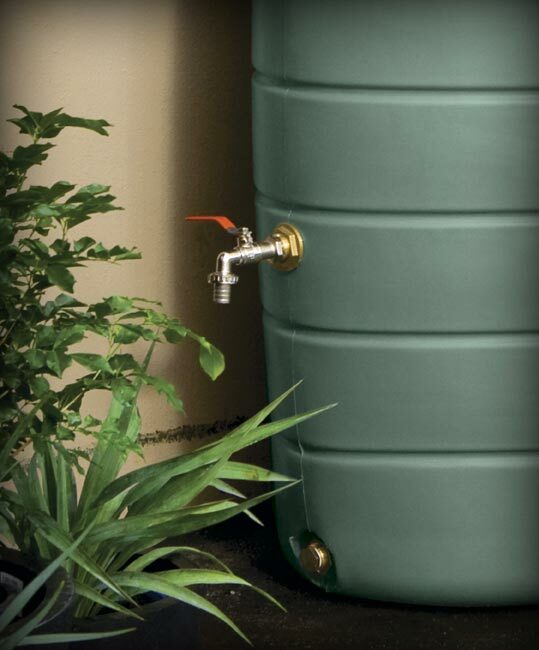 This advanced manufacturing method delivers one of the strongest, cleanest and most durable water tanks available. 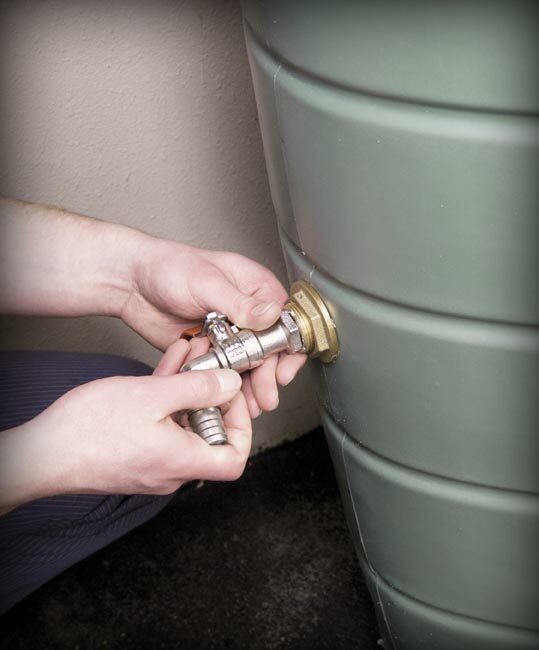 Stratco Aqua-Link Rainwater Tanks are designed, engineered and tested to meet all relevant Australian Standards. Smooth rounded curves and a contemporary design. Easily linked together to form a large water storage unit. Individual modules are easy to move. 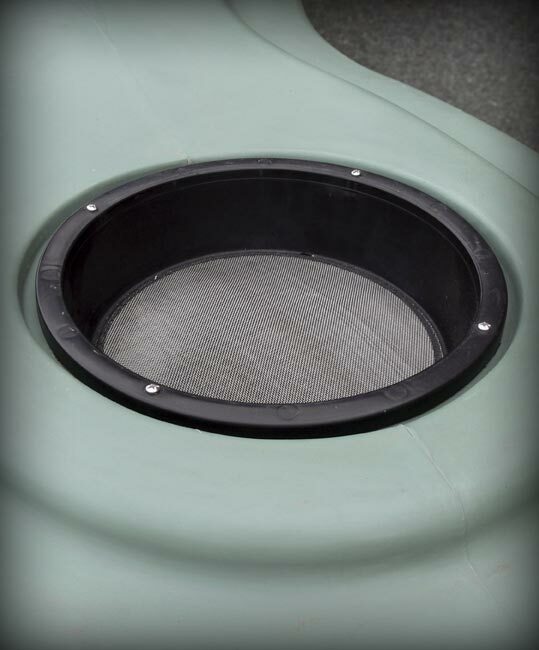 300mm mosquito proof, filtered inlet that doubles as an inspection point. Integrated mosquito proof overflow outlet. 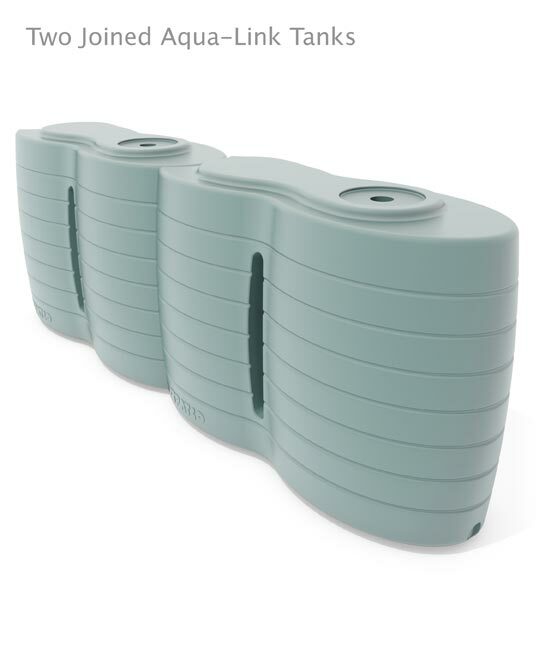 Made from high quality, UV protected, rotomoulded polyethylene. Dimensions: 800mm wide x 1900mm long x 1340mm high.